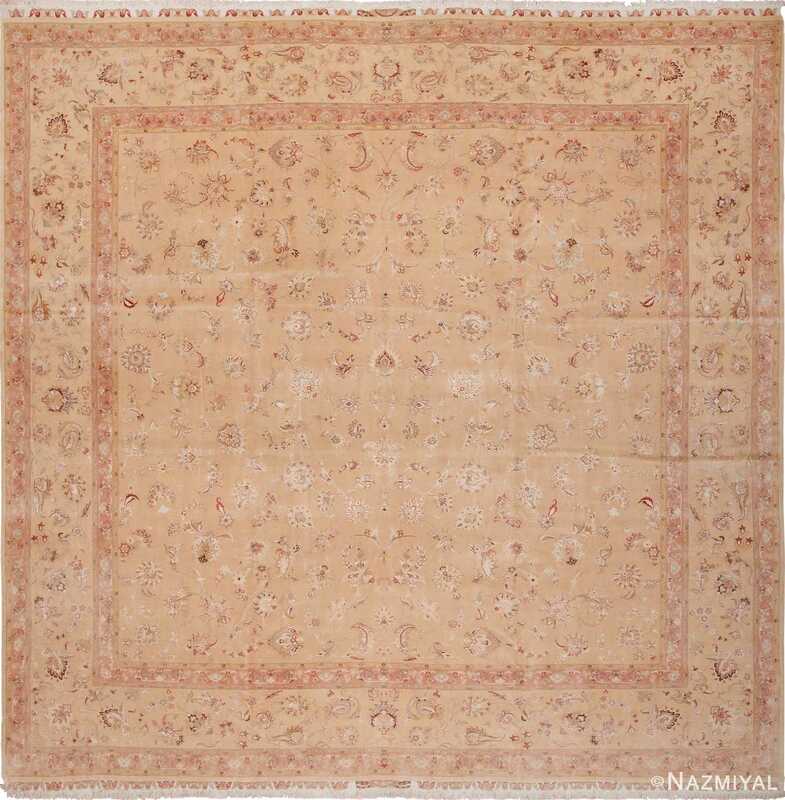 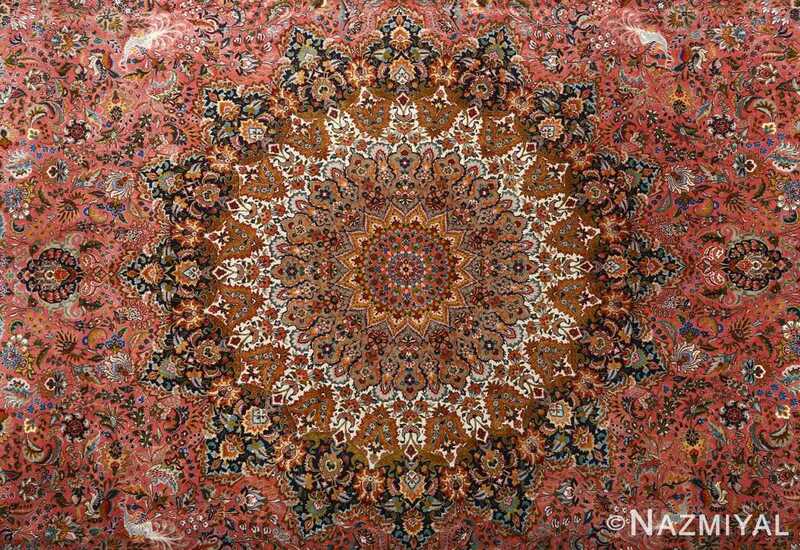 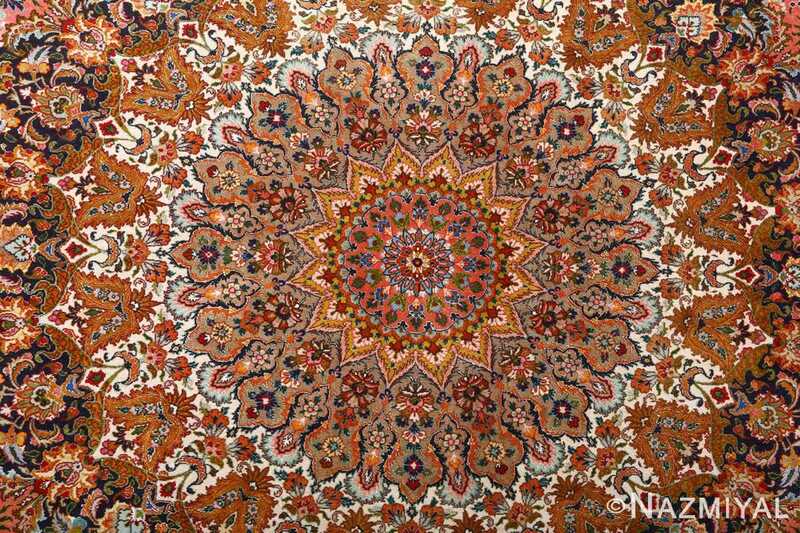 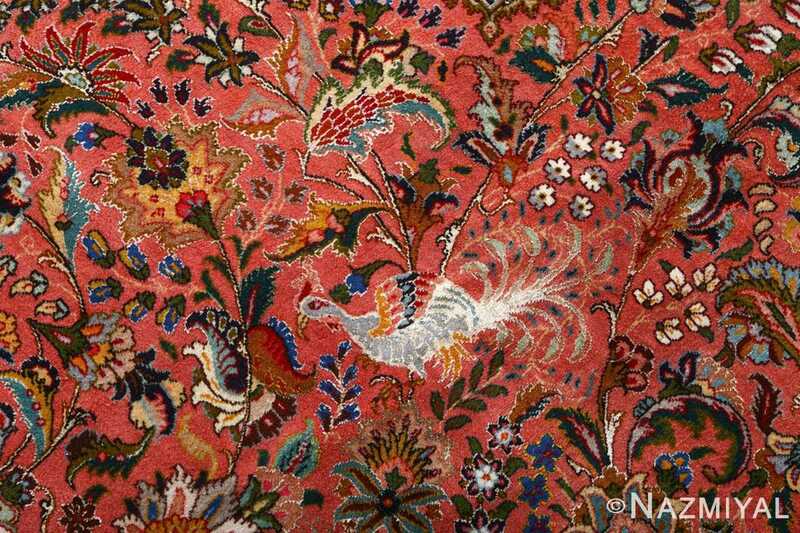 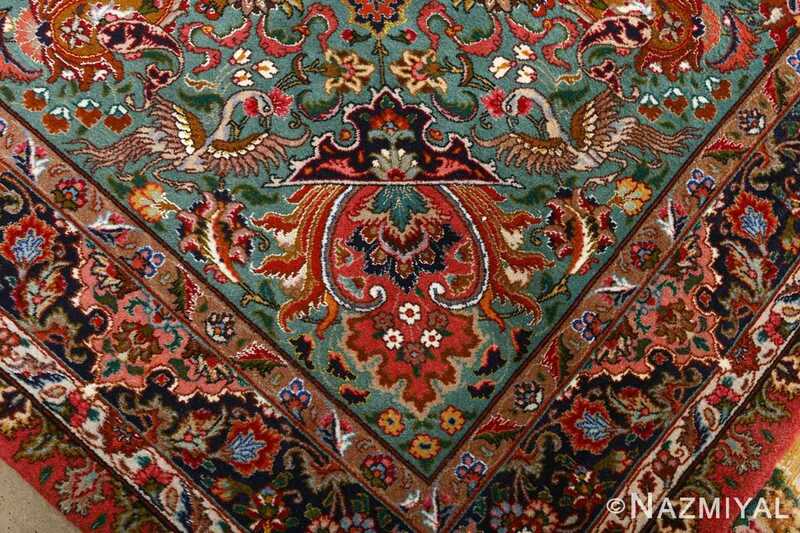 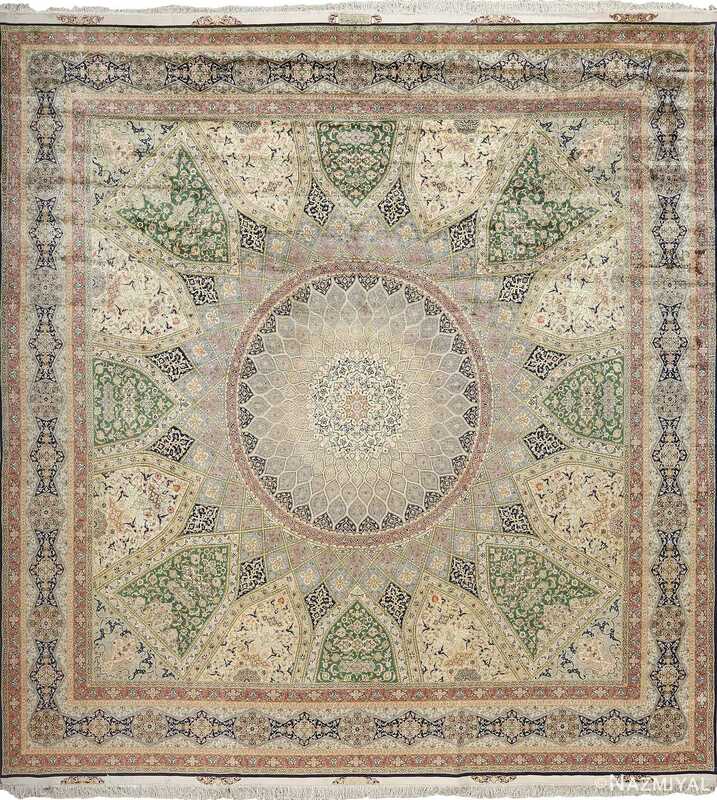 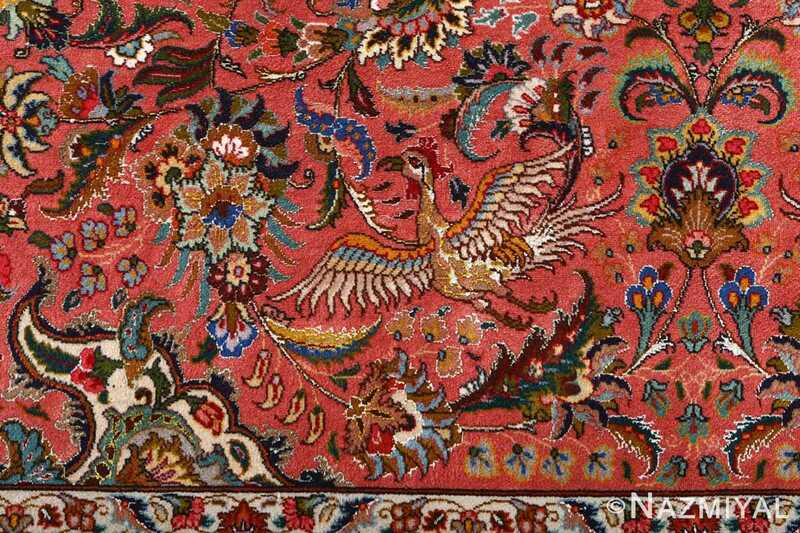 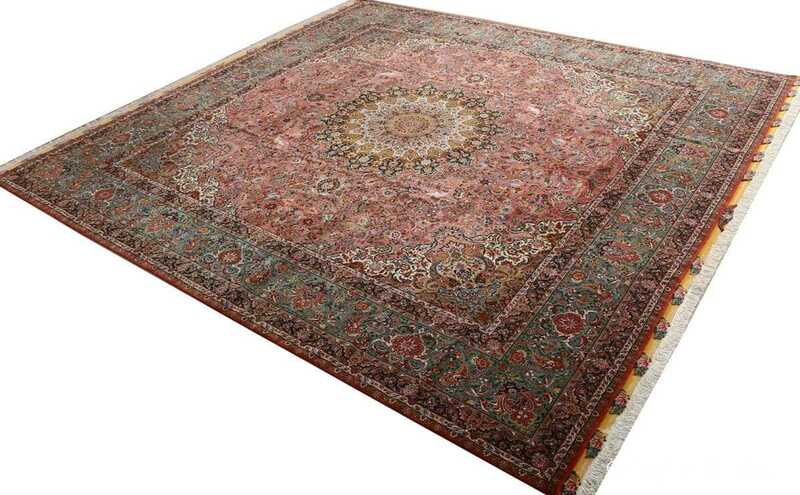 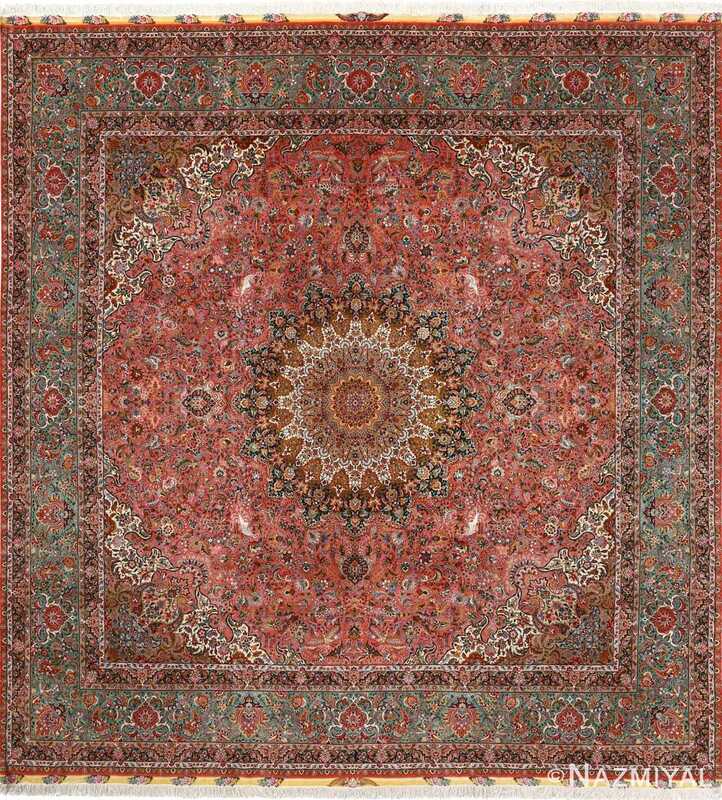 Intricate Square Animal Motif Vintage Tabriz Persian Rug 51080, Knots Per Square Inch KPSI: 625, Country of Origin / Rug Type: Vintage Persian Rug, Circa Date: Late 20th Century – A tremendous arrangement of minuscule details define the landscape of this beautiful vintage Persian Tabriz rug. 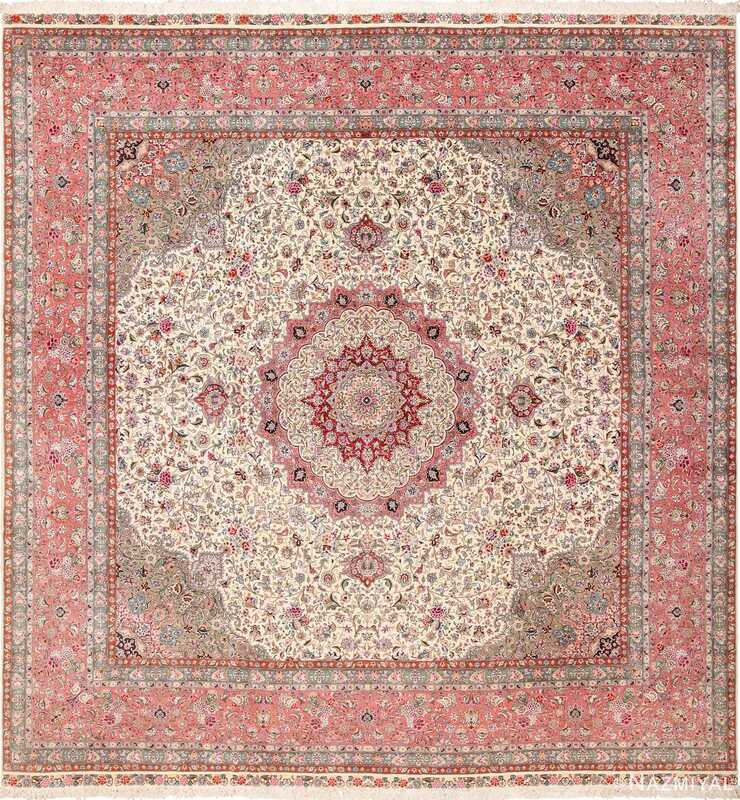 Weaving petals, dancing vines and elegantly unfurling fronds all mark the pink color surface of the vintage Persian rug, creating intricate patterns that span every section of the masterpiece. 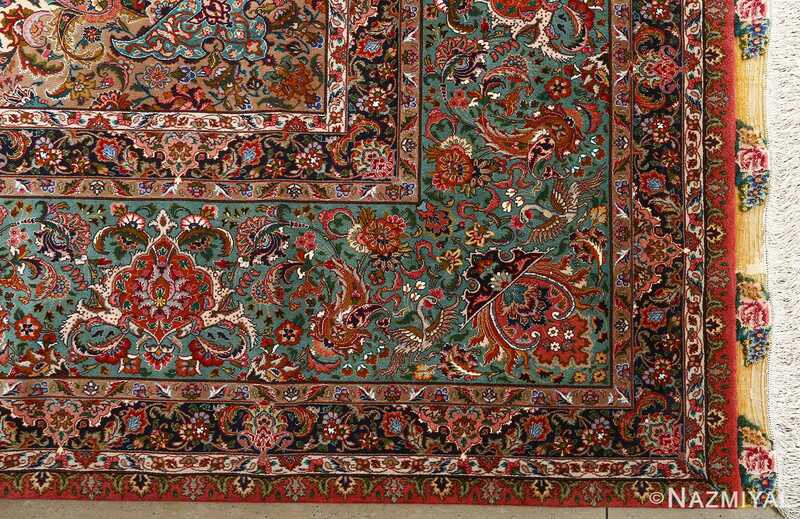 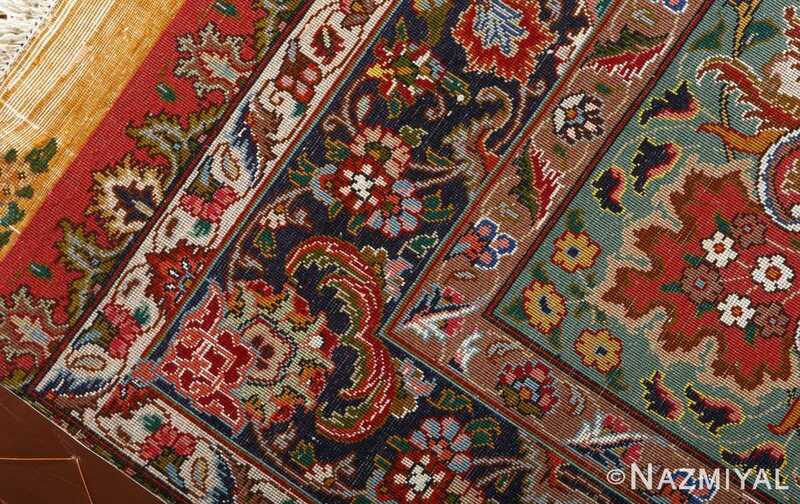 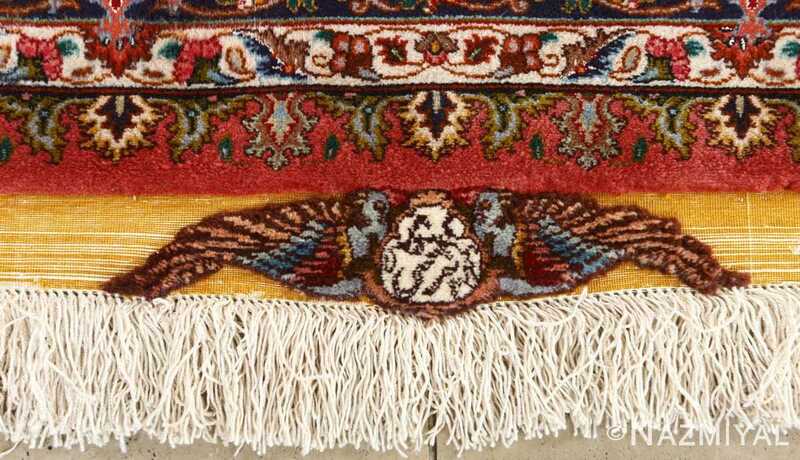 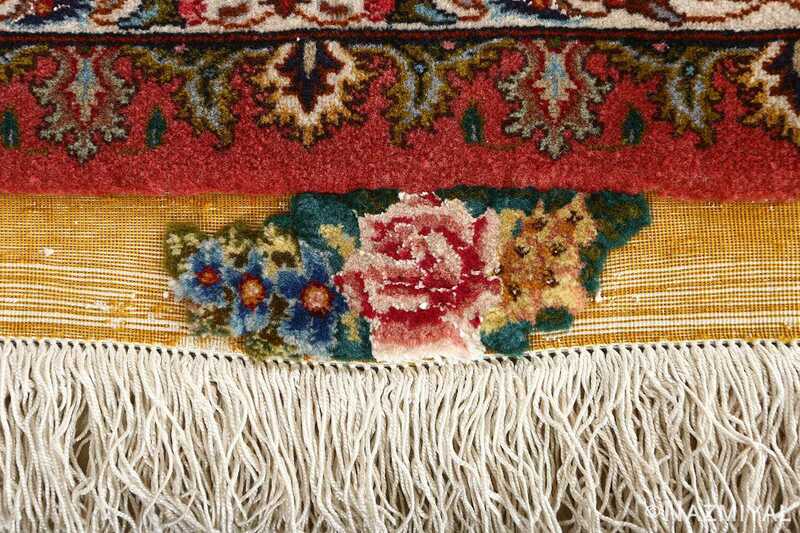 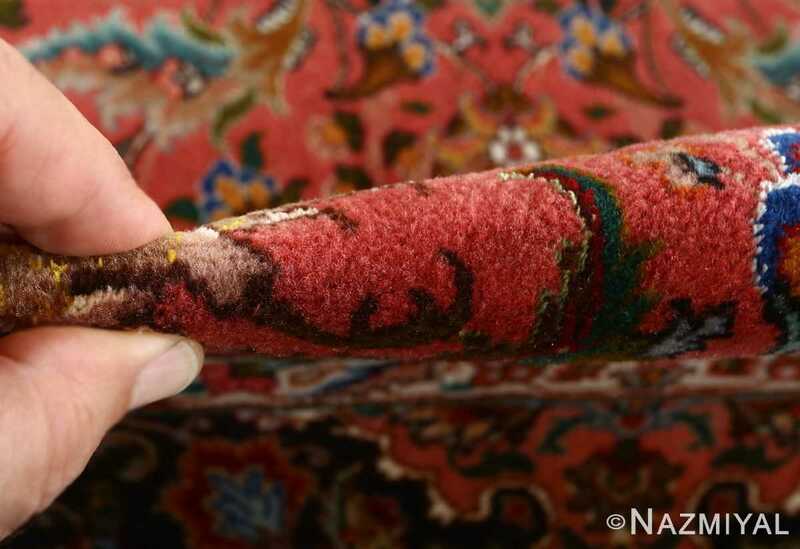 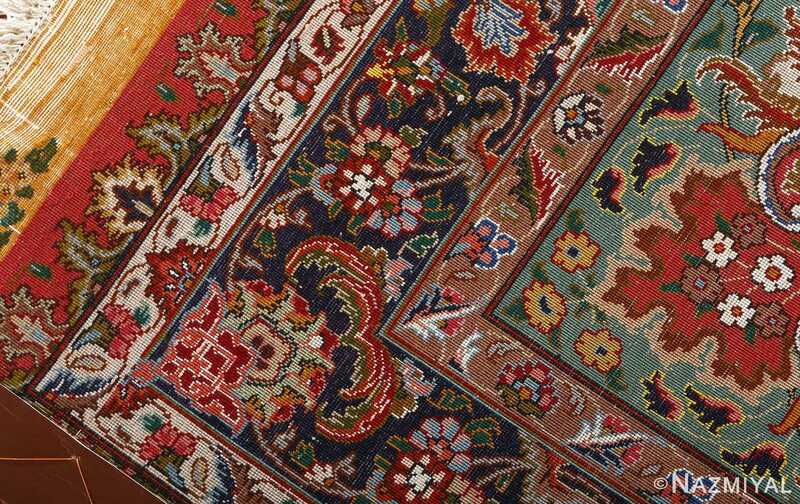 These connections lead the viewer from one part of the rug to the next, and they suggest a unique inter-connectivity that can be found in every aspect of the vintage rug, from the grounding borders to the rounder motifs at the very core of the masterpiece. 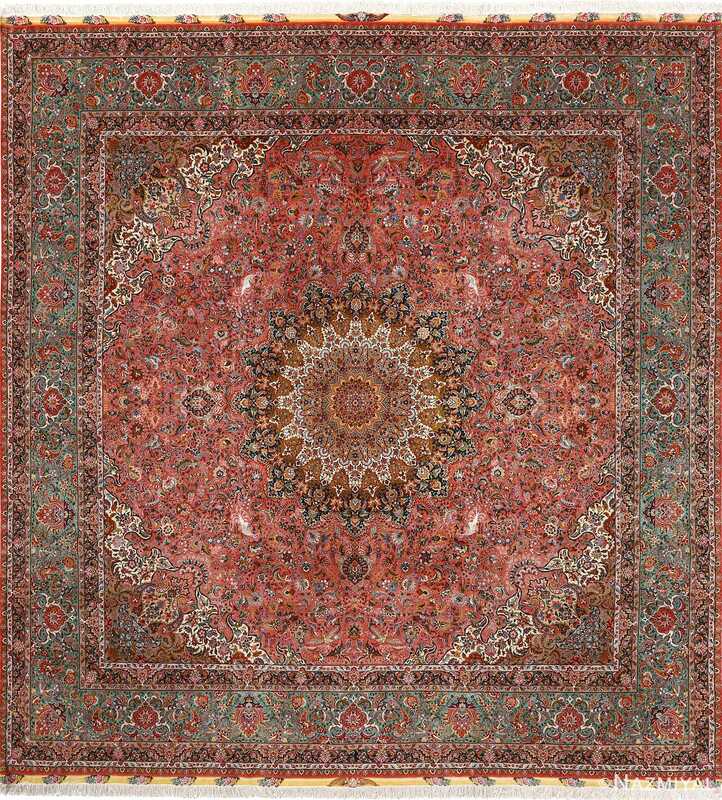 The warm colors work with the floral and animal rug motifs at the foreground to create an inviting vista for the viewer to enjoy.